1. 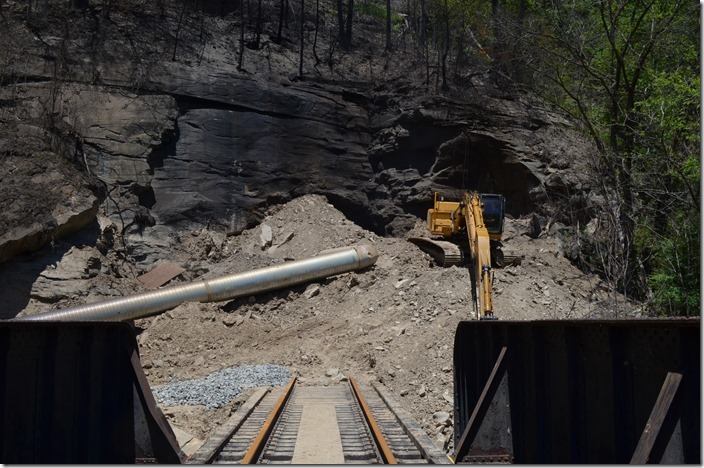 A work train of low side gons is bringing debris from the Robinson Creek Tunnel fire down to Shelby. Here it being unloaded by backhoe and dumped into a vacant lot on CSX property. 2. 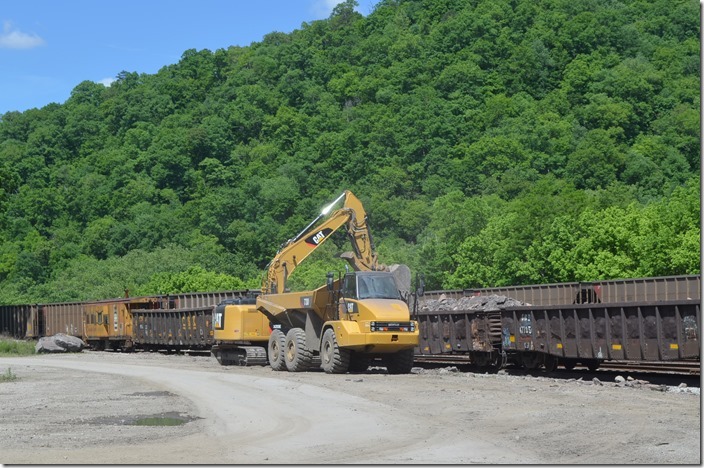 A work train of low side gons is bringing debris from the Robinson Creek Tunnel fire down to Shelby. Here it being unloaded by backhoe and dumped into a vacant lot on CSX property. View 2. 3. 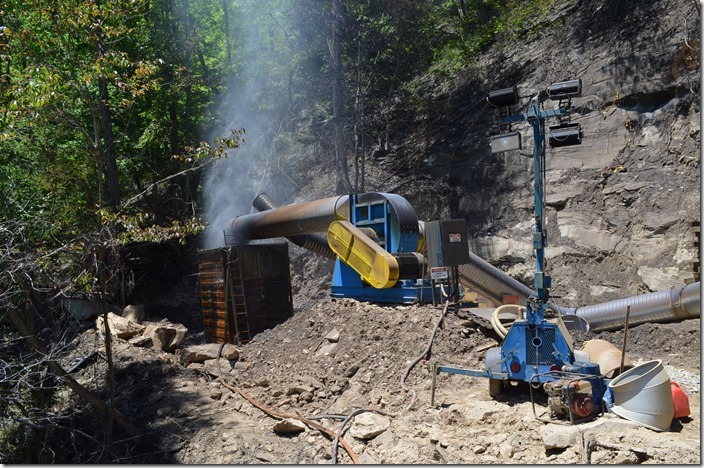 Contractors have this contraption for pulling and filtering air through the tunnel. That rust-colored thing contains water. 4. 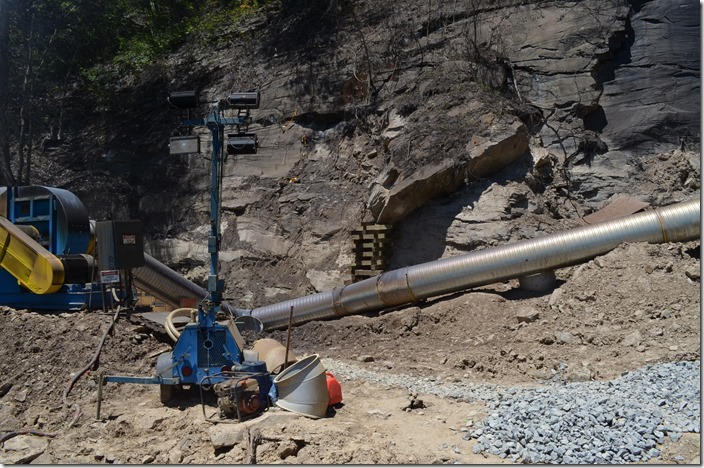 Contractors have this contraption for pulling and filtering air through the tunnel. That rust-colored thing contains water. View 2. 5. The heat really did a number on the trees above the portal! 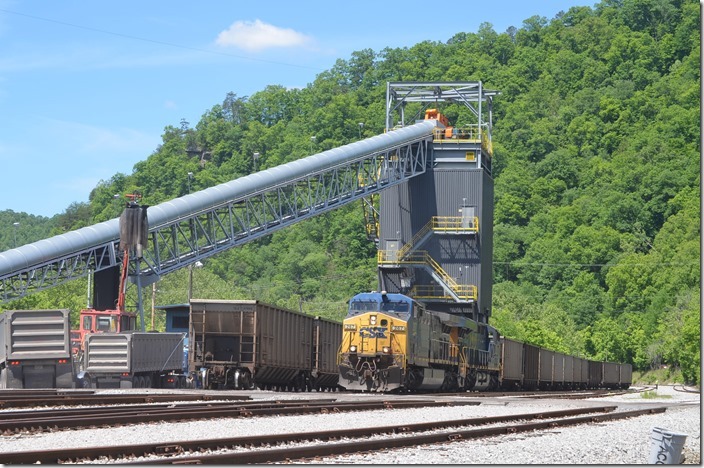 Meanwhile CSX is footin’ the bill for Premier Elkhorn Coal Co. to truck their coal from Myra up to Castleton Commodities’ Slones Branch load-out on the former Levisa Spur at Millard. 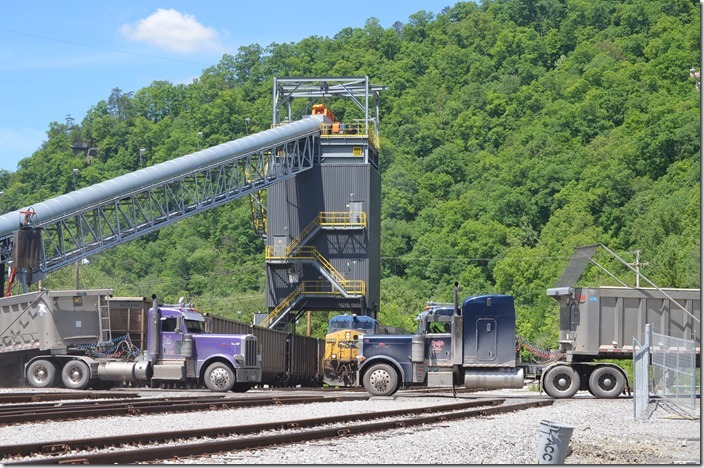 KY 610, KY 122 and US 460 is hot with coal trucks! Reminds me of the good ol’ days! 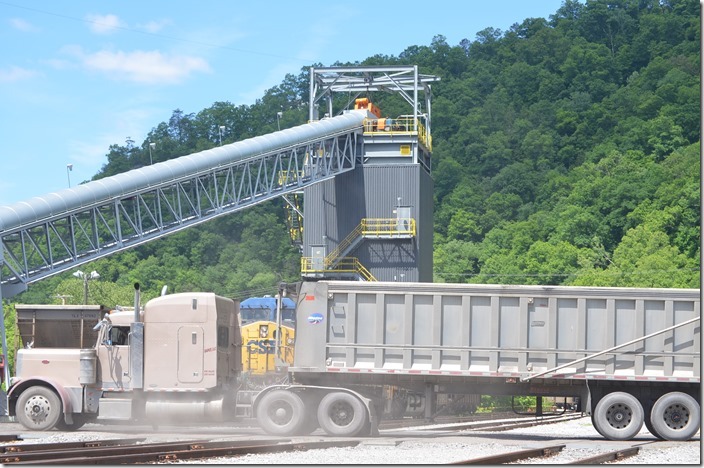 Premier Elkhorn will probably load more detoured coal in a few weeks than LDH Energy and Castleton have in the two years or so that it has been there. 6. 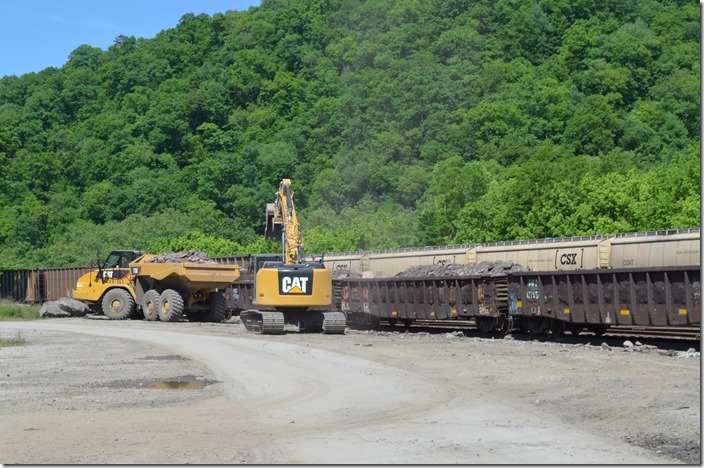 CSX 267-969 pull in a cut of VAPX and TILX empties. 7. 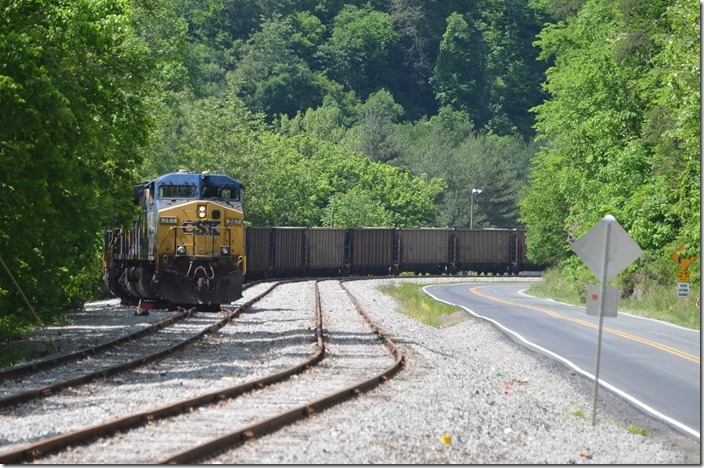 CSX 267-969 pull in a cut of VAPX and TILX empties. View 2. 8. Coal trucks coming in left and right as the engines back past. 9. CSX couples onto the second cut and starts forward. 10. Congestion at the scale house! 11. Congestion at the scale house! View 2. 12. We ate lunch and came back a couple of hours later after hitting a few yard sales. The crew had tied down the train for loading later. 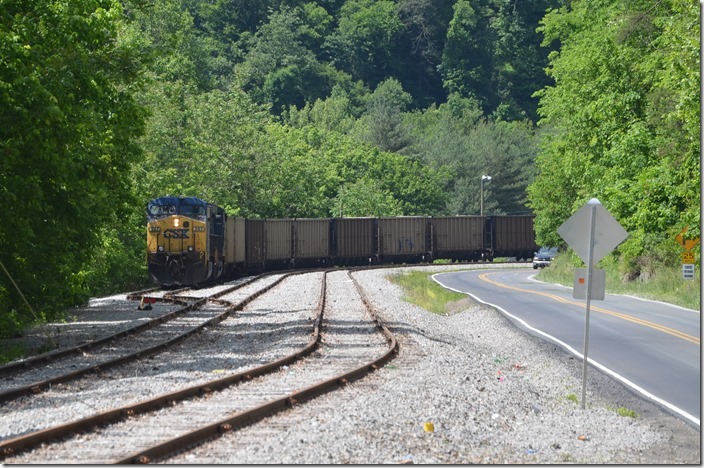 LDH Energy and Castleton used their own people to load the train, so I don’t know if CSX will or not. 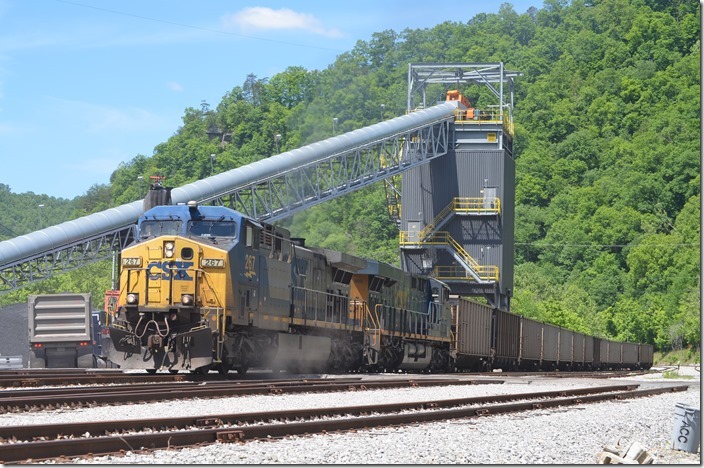 This train will go to a Dominion Virginia Power plant. 13. 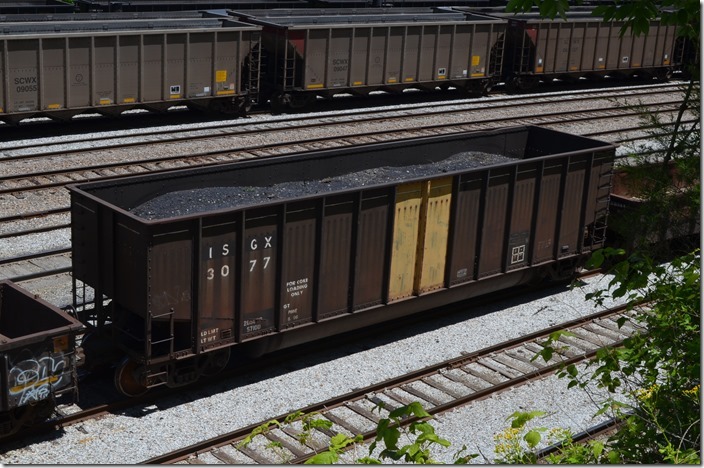 This old Bethlehem Steel coke car was full of debris at Shelby. ISGX is Arcelor Mittal now. They operate former Bethlehem mills. These used to be fairly common unit trains on the former C&O and Conrail. 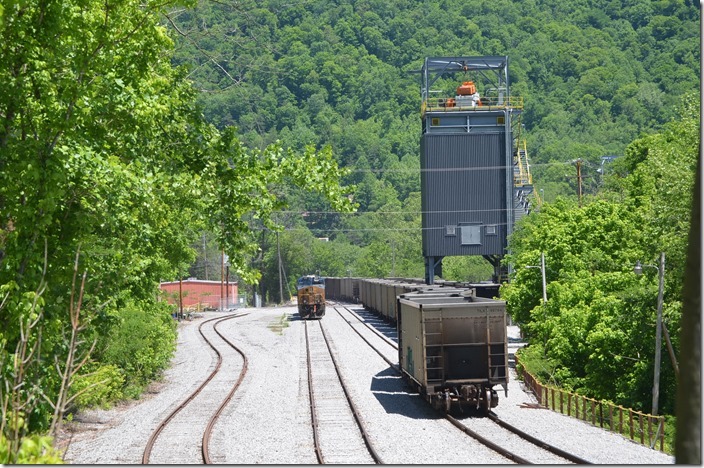 Around here they would haul coal, and can only be loaded to the level shown in this photo.